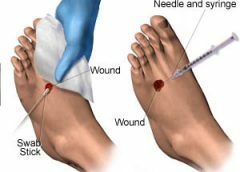 Home > Posts tagged "2014 Journal Vol3 No1"
As wound care clinicians, we know that an interdisciplinary, holistic approach to prevention and management of a wound is crucial to positive outcomes, no matter where the patient is being seen. Yet too often when a patient transfers from one care setting to another, the only wound information that’s communicated is the current topical treatment. Most transfer forms only include generic spaces for “any skin concerns” and “treatments,” with no prompts for obtaining additional information. In fact, clinicians in many care settings frequently report they had no idea the patient had a wound until he or she was admitted. Fifty shades of wound care at home refers to treating the whole patient and the patient’s caregiving supporters—not just the wound. Only by understanding the nuances, or shades, of a patient and his or her environment can clinicians best achieve desired outcomes. Greet the new year by tapping into some new resources. 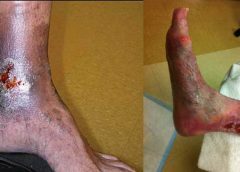 A study in Diabetes Care finds that anti­biotics and surgery have similar outcomes related to rate of healing, time of healing, and short-term complications in patients who have neuropathic forefoot ulcers and osteomyelitis, but no ischemia or necrotizing soft-tissue infections.